Why Choose Best Cleaning London? To borrow a song title We are – Simply the Best! Our flexible and professional cleaning services extend through all domestic office and commercial settings. Unlike some fly by night services we have earned our stripes in the arena we serve and our name has become synonymous with quality and attention to detail. We have expanded our services to include ironing, twice weekly cleaning and steam cleaning of mattresses, upholstery, carpets and curtains as well as specialist cleaning of more delicate or valuable rugs and other fabrics. To be the best you have to hire the best and at Best Cleaning London. our staffs are reliable and motivated. They live to clean! We carry out our own in house training so that whatever the cleaning task you need, our operatives will approach it with industry knowledge and with the right tools for the job. 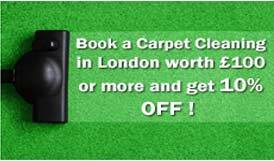 If you entrust the cleaning of your home to Best Cleaning London. you will have more time for the things that are most important to you, more time for the family, for walking the dog or even shopping with a leisurely lunch, safe in the knowledge that your home will be sparkling clean when you return. If you book several of our services at once you and clear off to the beach for the day and leave us to it, and it will save you money too. Once approved, candidates will be put through an in house training programme closely supervised by our trainers that will culminate in practical examination. Only on successful completion of training and exam will our cleaners be allowed to start work. From their first customer allocation all our staff are monitored for customer service and their skills are also updated regularly. Our management team has the same excellent experience and expertise that our cleaners do and will be able to fully organise your cleaning programme. We will visit you at home if there is anything you would like to discuss and we will select a cleaner that can best carry out any special requirements that you have. We look after our staff and have a very low turn over – something that is rare in the industry. You will have the same cleaner allocated each week as we know that the job is done best by someone who knows your home or business and who will offer continuity. You will have your own reserved times each week and you will also have a dedicated supervisor that you can speak to at any time. If your cleaner is unavailable because of holiday or sickness and we cannot offer a replacement you will be able to claim a refund on the payments you have made. Our staff are well trained and professional and we guarantee the quality of our work. If for any reason you are not satisfied we will always do our best to resolve the matter and carry out the cleaning again for you if necessary. All our staff are used to dealing with even the most delicate of personal items and always take the utmost care. But should it ever be needed we have full insurance that will cover any breakage. We have a flexible approach and will always do our best to replace a cleaner at your request or alter your contracted cleaning times if you need us to. All our contracts are on going and only one month’s notice is required to leave us.